Pompeo to visit Venezuela border on South America tour - SABC News - Breaking news, special reports, world, business, sport coverage of all South African current events. Africa's news leader. Mike Pompeo will visit the Colombian city of Cucuta after stops in Chile, Paraguay and Peru, all four countries favorable to the tough US approach on Venezuela. Pompeo will pay a brief visit on Sunday to the Colombian city of Cucuta after stops in Chile, Paraguay and Peru – all four countries led by right-wing or center-right leaders favorable to the tough US approach on Venezuela. In Cucuta, Pompeo will “visit entities supporting Venezuelan refugees and assess the challenges due to the closed border,” the State Department said in a statement. 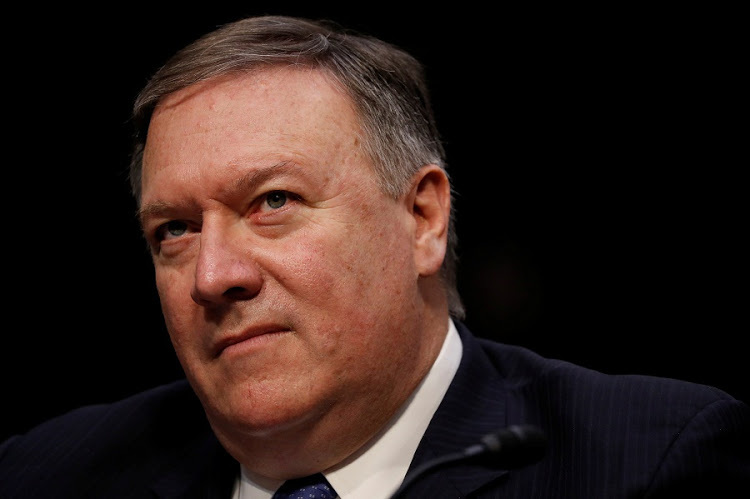 Starting the trip on Friday in Santiago, Pompeo will “highlight Chile’s regional leadership” along with economic, scientific and security ties, the State Department said. Chile is this year’s chairperson of the Asia-Pacific Economic Cooperation forum, with a Pacific-wide summit expected in November. In Peru, the State Department said Pompeo on Saturday will discuss support for Venezuelan refugees as well as the country’s role in leading the Lima Group — the group of Latin American nations and Canada that meets on the crisis in Venezuela. The United States and all the Lima Group members except Mexico in January declared President Nicolas Maduro to be illegitimate as the leftist firebrand heads a crumbling economy that has sent millions fleeing. Washington has been ramping up economic and diplomatic pressure in hopes of installing opposition leader Juan Guaido, although Maduro has maintained control with support from the military, Russia and China. Pompeo will be the first secretary of state to visit Paraguay since 1965 with his stop on Saturday. Paraguay’s US-educated president, Mario Abdo Benitez, has shared much of Washington’s agenda, although he backtracked on joining the United States in moving his country’s embassy in Israel to Jerusalem. President Donald Trump’s administration has also sought strong ties with Brazil’s new far-right president, Jair Bolsonaro, who visited Washington last month. This entry was posted on 09 Apr 2019,12:20PM at 12:20 PM and is filed under World. You can follow any responses to this entry through the RSS 2.0 feed. Both comments and pings are currently closed.